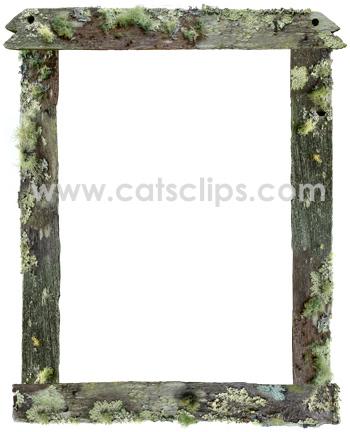 A rectangle frame of old wooden boards covered with lichen. Transparent center for photos or use as the border for a flyer. PNG with transparent center on a white background.